Aston Martin replaced its Virage by introducing sizzling Vanquish, initially powered by a 5.9 Liter V12 delivering 450 hp. 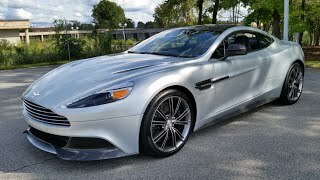 Coming years marked the journey of Vanquish as subsequently growing model as per need f market and here we are in the year 2015, with all new Aston Martin Vanquish 2015 with more power and better looks. Let us have a close look at this super car and see what Aston Martin has in its box for its customers. Interior of Aston Martin Vanquish 2015 carries its One-77 supercar technologies and features but with some more attractions. Cabin looks luxurious with its black colored steering wheel, center console and instrument panel while rest of the body matches with its contrasting light color and stitching over seats. Carrying its predecessors Fine Luxmil and semi-aniline leather and Alcantara trim this time Aston Martin Vanquish brings a new trim option for its customers. The new trim color option (though at extra cost) is unique and catchy with its blue-black Dark Knight Combo and Fandango Pink. This is the same which comes as option in Rapide S and prior to 2015 used to be limited editions trim level. Just like the interior, exterior of Aston Martin Vanquish 2015 carries looks same as that in its predecessor model. Exterior remains same with chrome strips running across the heat extractor split. However changes come through all new ten-spoke forged alloy wheels in a bevy of finishes. 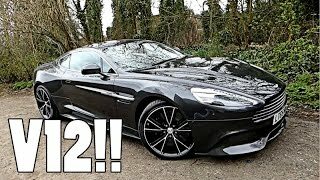 The most interesting part of this wheels, that add to the performance as well is lightweight they carry, which is almost 15.5 pounds less than standard wheels used in Aston Martin Vanquish. Apart from this just like the interior, exterior of Aston Martin Vanquish 2015 comes with some new color options. To us the most attractive in the list was Diavolo Red; yes it is the same which was previously limited but now is available for the Aston Martin customers. 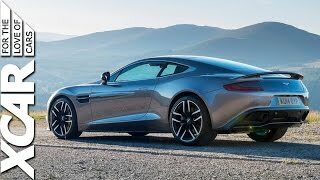 Aston Martin Vanquish 2015 is powered by same 5.9 Liter V12 engine but the unit for this model delivers 568 hp and peak torque of 630 nm, paired to all new Touchtronic III eight-speed automatic transmission. 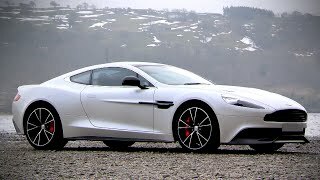 With this hike in its total output the Aston Martin Vanquish 2015 is capable of reaching 62mph from standstill in just 3.8 seconds, which is 0.5 seconds faster than its predecessor and a top speed of 201 mph.